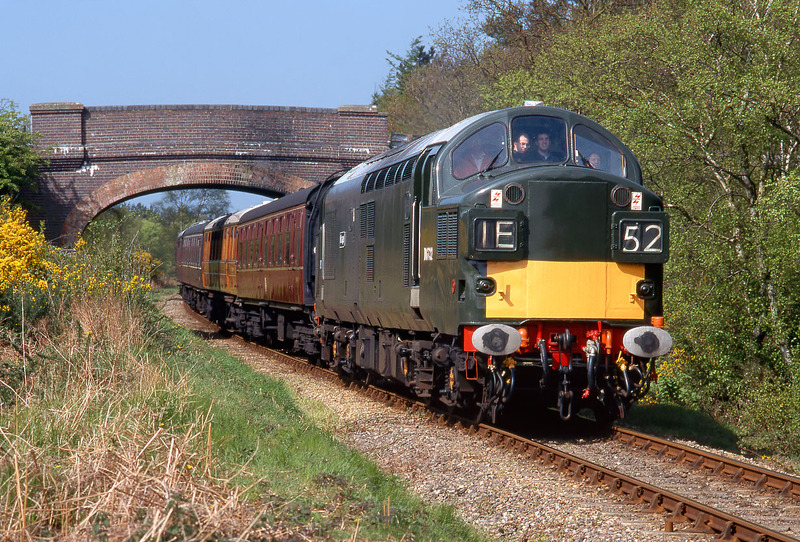 D6732 (37032) Mirage passes High Kelling on the North Norfolk Railway with the 15:00 Sheringham to Holt service on 2 May 1998. 37032 was withdrawn from Tinsley depot in March 1994, although it had been in store unserviceable for over a year. Tinsley had unofficially named it Mirage in 1992, so this was perpetuated in preservation with cast plates in place of the previously painted ones. A cab full of volunteers enjoying some English Electric traction here!